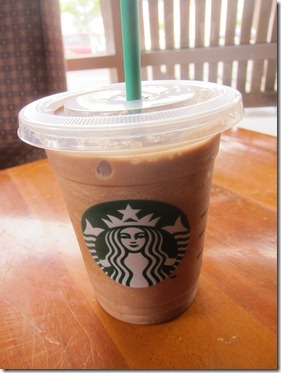 Did you know that Starbucks makes a mocha coconut Frappuccino? Judging by the responses I got to my Tweet about this discovery earlier today, yes you do. Well, it’s a brand new flavor to me and I am basically in love. I ordered the light version of the Frappuccino late this afternoon and it tasted like a Caramel Delight Girl Scout cookie… or a Samoa, as some of you say. Quick poll: Are they Caramel Delights or Samoas to you? Caramel Delights all the way, bay-bay! After working through the afternoon at Starbucks, I headed downtown for a meeting about an upcoming Orlando tech conference. I felt a little out of my element with all the talk about aps and start up technology businesses, but we’ll see where it goes! On my way out of the meeting I stopped by Mochi for some fro yo for real reason other than me just wanting the creamy dessert. If you spend $5 at Mochi downtown you’re supposed to receive validation for parking in the garage. 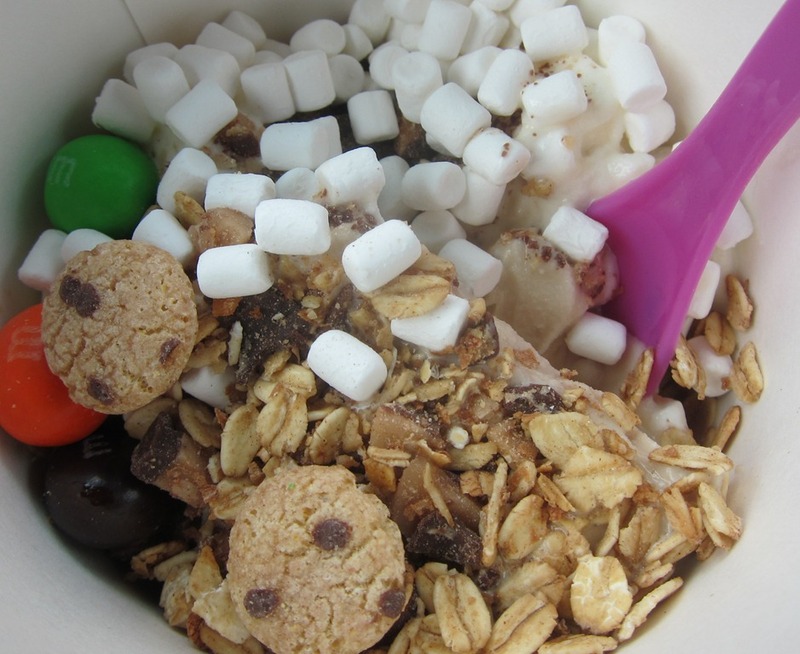 Well, apparently that validation only applies if you’re parked in the garage for under two hours, so I ended up paying $5 for frozen yogurt and paying $16 (YES, SIXTEEN DOLLARS!) for parking. What a punch in the gut! I got back to the hotel room in Ocala a little after 8:30 p.m. and am now off to slip into my pajamas and grab something quick to eat for dinner. I missed the hotel buffet (oh darn! ), so I’m left to scrounge up a meal from the stuff we have in our fridge. I think that means dinner will be Greek yogurt with banana slices and a whole wheat bagel with peanut butter. That actually sounds delicious right now. See ya in the morning for Blog Talk Tuesdays! Samoas! I’m from the NW, so maybe it is a regional thing. Also, have you had the vanilla creme (light) frappucinos?! Obviously, not coffee, but taste like a milkshake and are my go-to when I am craving some ice cream and there is no fro yo to be found… especially when Starbucks is doing their “treat receipt” promotion and I can get one for $2! 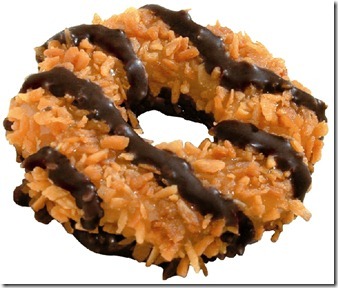 Definitely Samoas! I’ve never heard the caramel delight thing before- though it certainly is an appropriate name!! Dood I just realized I think I still have a box of these bad boys in the freezer. When I was a Girl Scout in elementary school, we took a field trip to a cookie factory in our area that made Caramel Delights (I’m on the East Coast) but the cookies we sold were called Samoas, even though we were in the same city as that factory! So I think it just depends what company makes them. Also, I feel so old when I buy Girl Scout cookies and have to stop myself from saying “well when I was a Girl Scout they were $3 a box” because they are definitely much more expensive now! So, those cookies have always been called Samoas! So are they only called Caramel Delights in Chicago or something!? Weird. The chocolate dipped coconut Luna bar reminds me of Samoas too! samoas for sure!! i actually just tried this drink today and it was amazing. i always went for the coffee or mocha light and now i am not sure i can go back after having this!!! 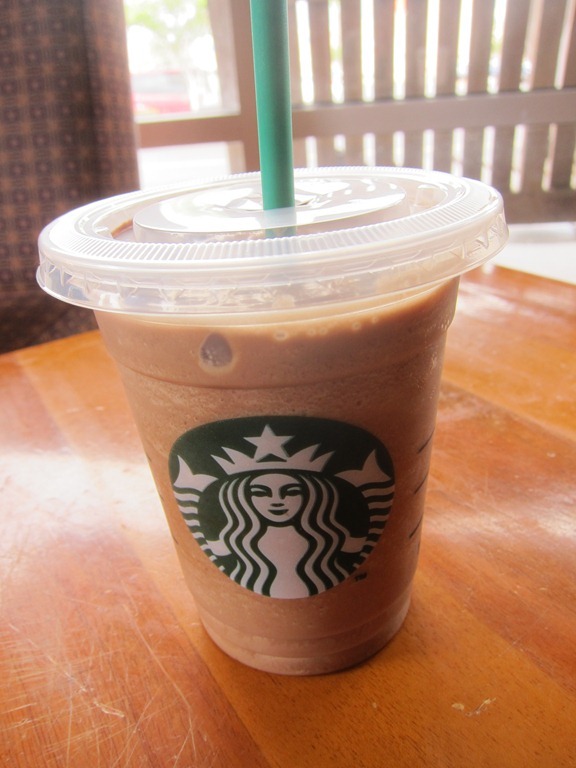 I haven’t been to starbucks in forever so I didn’t know about the mocha coconut frappuccino. I’m going to have to get that soon!